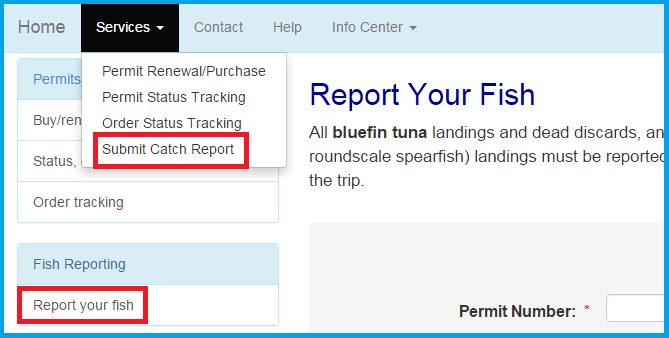 Click report your fish on the left side of your browser screen or click on Submit Catch Report on the Services drop-down menu. Enter your permit number into the "Permit Number" field. If the screen shows the correct owner name and vessel name, click Yes. Otherwise, click the No data button to re-enter a different permit number. 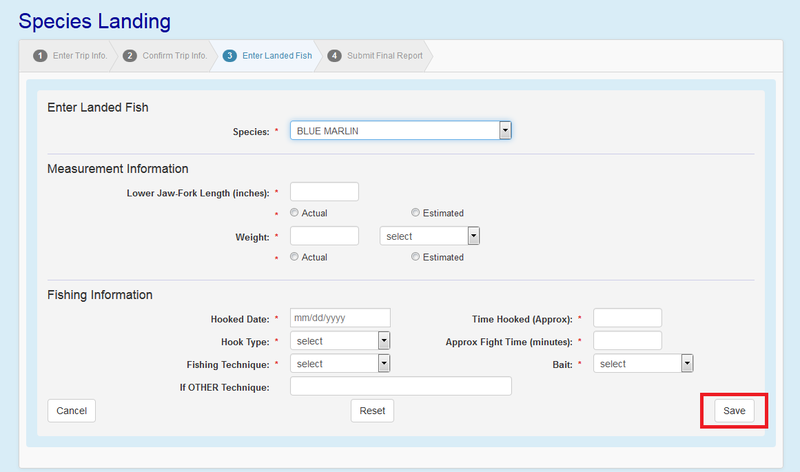 In the "Trip/Catch Data" screen, fill in the Trip Information section and Number of Fish Released Per Trip section. The fields marked with red "*" are required fields. Click Clear Entries if you need to clear all the input fields. Click Continue when done. In the "Landing Data" screen, verify the trip information. 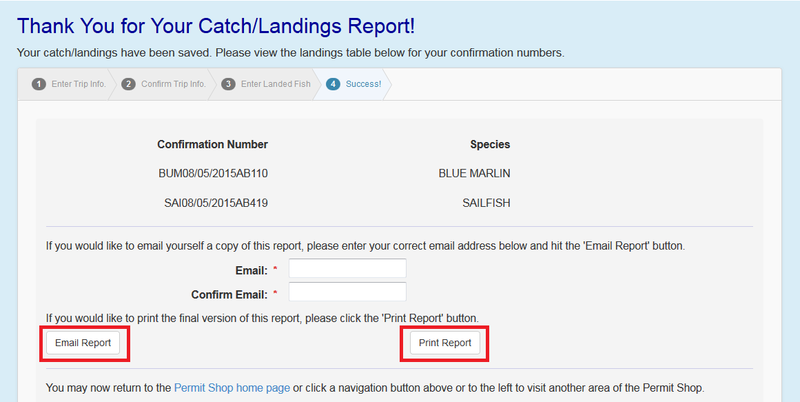 If you have No fish landing, click Continue to finish the report. If you do have fish landings, click Add Species. In the "Species Landing" screen, select the fish species, then fill in the information about the fish. Click Save when done. Repeat step 7 and step 8 until information of all landed fish is reported. Click Continue when done. You have finished the landing report and get to the "Success" screen. If you choose to email your report, fill in the email information, then Click Email Report. If you choose to print the report, click on Print Report.